Toyota City, Japan, November 28, 2011—Toyota Motor Corporation (TMC) will display a production prototype of the “86” compact rear-wheel-drive sports car, scheduled for launch in the spring of 2012, at the 42nd Tokyo Motor Show 2011. The show, to be held at Tokyo Big Sight in Koto Ward, Tokyo, will be open to the public from November 30 through December 111. With the shared desire to provide the dream and joy of cars, TMC and Fuji Heavy Industries Ltd. (owners of the Subaru-brand) worked together to develop the 86 as a unique rear-wheel-drive vehicle, with intuitive handling, that embodies the essence of driving enjoyment. The 86 features the world’s first horizontally opposed D-4S engine, created by combining Subaru’s engine technology with Toyota’s cutting-edge D-4S direct injection technology. The engine is installed front mid-ship to establish the world’s only horizontally opposed engine and rear-wheel-drive package. 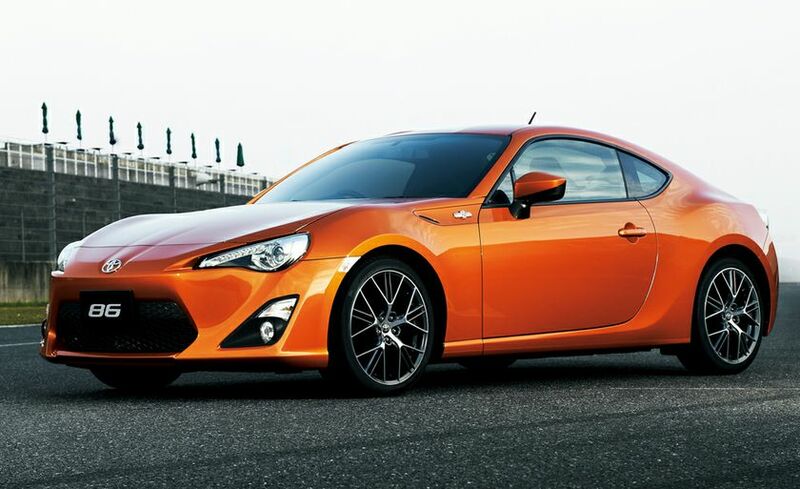 As a result, the 86 offers fun driving at a level unprecedented in earlier sports cars. The 86, with numerous customizable parts and fresh, new potential of sports-car enjoyment suited to the times, carries on the spirit of the AE862 in it’s aim to be a car that evolves with its owner. The exclusive lightweight and compact rear-wheel-drive platform was designed to achieve superior handling and create the world’s smallest3 mass-production four-passenger sports car. The power unit is located front mid-ship to create an ultra-low center of gravity and low inertia that rivals that of supercars. The transmission is available as a six-speed manual transmission or a special sports-driving six-speed automatic transmission with the feel of a manual. The vehicle’s newly developed engine realizes higher output and better environmental performance, to create exceptional output and torque performance as well as superior response at low and medium speeds. The D-4S, with separate twin injectors for both direct injection and port injection, boasts a high compression ratio of 12.5. This provides high output and high torque over a wide range of engine speeds and contributes to improved environmental performance. The engine’s maximum allowable speed exceeds 7000 RPM, with a maximum output of 200 horsepower (PS). The engine still realizes fuel efficiency and environmental performance that rivals that of a 2-liter-engine sedan. By adopting an ultra-low center of gravity, the 86 has the lowest hip-point of any Toyota-brand production vehicle and creates a driving position suited for never-before-experienced driving enjoyment. Starting with a low-center of gravity and excellent aerodynamic performance in pursuit of a low, fun, and attractive car, the 86 warmly embodies advanced performance that makes driving pleasurable and seeks an enduring and universal beauty of form. The front features a unique, sharp design that gives the impression of a predator about to pounce. The sides effuse the heritage of Toyota sports cars and a modern design style is employed in the side window designs and rear fenders. The rear view expresses a wide and sturdy center of balance despite the condensed and compact cabin. The interior design seeks the essence of sports cars by examining driving needs in detail and emphasizing functional components and operability to optimize the form, placement and materials of each element. The circular steering wheel has a diameter of 365 mm, the smallest in a Toyota-brand vehicle. The wheel’s surface was optimized with exhaustive feedback from test drivers to enhance steering performance and grip.